Ships in 1-3 days from order date. 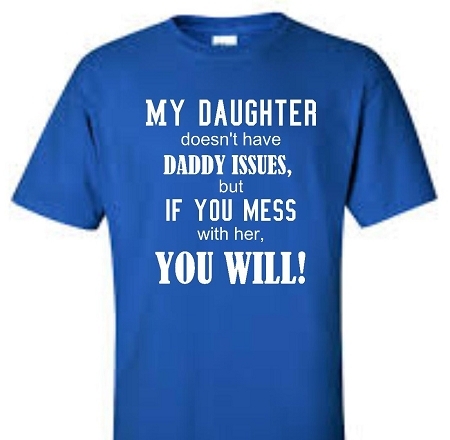 This Daddy Issues tee will sure to send the perfect message to young suitors. Adult sizes can be worn by males and females. ***Items are custom made and shipped within 1-3 days of purchase. Copyright It Just Got Personal. All Rights Reserved. Online Business Builder by 3DCart.